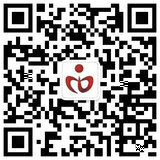 Zhejiang Medou Communication Technology Co., Ltd., referred to as Medou Communication, was established in 2007. It is a multimedia communication equipment supplier focusing on the development, production and CTI system integration of new generation audio and video communication products. The company is headquartered in Yiwu, a globally renowned “commodity ocean, shoppers paradise”, with technology research and development centers in Hangzhou and Chengdu, and branch offices or sales outlets in more than 20 provincial capitals, South America, Southeast Asia, South Asia, and the Middle East. There are general agents in the area. Medou Communication successively passed the recognition of “National High-tech Enterprise”, “Software Enterprise”, and “Zhejiang Science and Technology Enterprise”, and undertook several scientific and technological research projects, among which “communication protocol monitoring system based on multi-channel digital signaling acquisition”. Obtained the National Innovation Fund project and successfully accepted. As one of the domestic leaders in signalling, audio and VOIP technology applications, it currently has more than 100 independent intellectual property rights and a complete product line, and has passed 3C certification, CE certification, FCC certification, ISO9001 international quality management system certification, and telecommunications. Equipment access network certification, call center value-added telecommunications business license certification. Products cover CTI series voice cards, MDM series multimedia gateways, IPPBX multimedia switches, MDR series recording equipment, call center systems, etc., to provide customers with competitive emergency command, scheduling communications, teleconferences, call centers, recording monitoring, converged communications Such system solutions, products are widely used in telecommunications, government, public security, finance, securities, postal services, education, electricity, transportation, logistics and other fields. As a technology company, we have a highly educated technical team that is full of professionalism, vitality and development experience. At the same time, it maintains cooperation with domestic and foreign famous universities and research institutes in product R&D, technical exchanges, and talent output to ensure that products, technologies, and talents have always maintained industry leading advantages. The company also established long-term and stable cooperation channels with internationally renowned high-tech enterprises such as Alibaba, ZTE, Tadilan, Siemens, and many domestic military enterprises, and continued to make progress following the development of global science and technology. Medou Communication always adheres to the business philosophy of opening and cooperation in the industry chain, and works with upstream and downstream partners to achieve mutual benefit and common development. Together they create a good market space, create value for global customers, share market results, and ultimately achieve Multi-win-win situation. In the era of IoE, Medou Communication has leveraged on its strong advantages in market exploration and new application development to increase its efforts in voice recognition, image recognition, human-computer interaction, and Internet of Things technologies, and to continuously carry out technological innovation and marketing. Innovation and management innovation will enhance the company's overall quality and core competitiveness, continue to serve global multi-domain customers, and better serve the community. Copyright © Zhejiang Medou Communication Technology Co., Ltd. All rights reserved.